If getting into and out of bed presents a challenge, the solution can be as simple as adding an Assist Handle from Drive Medical. Because it can be added to a standard home bed, the Assist Handle is an economical option. It can be placed on either side of the bed for maximum convenience and stays firmly in place with floor-length legs and a “no-slip” foam base that slips under your mattress. Assembly is easy and tool free and makes the Bed Assist Handle perfect for taking with you when sleeping away from home. Assistance for getting in and out of home-style bed. Can be used on either side of the bed. Removable handle, easy, quick, no tool assembly. Comes in three pieces. Simply slides under mattress with “no-slip foam” on base bar to prevent movement. Chrome finish, solid and easy to clean. Portable, easy to transport. Can be folded to flat position for easy storage. Card on the reverse side enables patients to track prescriptions and medication instructions. 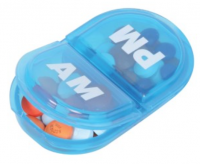 Handy Pill Caddy fits conveniently in a pocket or purse. Pocket-sized oval lets you take your daily pills with you. 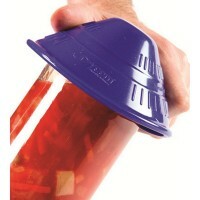 Snap-shut lids resist accidental opening, even when dropped. One-touch push button releases the lid for easy access to daily medications; lock button locks all compartments for secure transport. Classic 7-day design helps you remember daily medications. See-through plastic lets you see if today’s pills have been taken without opening the lid. 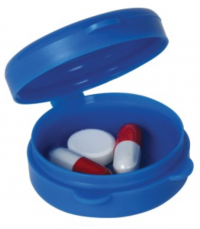 Base of each compartment twists onto the top of the next to store your weekly medications. Includes extra lid if you prefer to make 2 stacks. Organize your pills for the week, then take just one day’s pills with you. 4 compartments open separately to avoid spilling. Separate AM and PM compartments hold medication for 1 week. Entire lid removes for easy cleaning and filling. A large pliable sheet magnifier. With this item you can enlarge a whole page of print at once. Ideal for anyone with minor vision problems. Lens size is 6.5″ x 9″ (16.5cm x 23cm). 2x magnification. The Clean way to cut cling wrap without frustration. Assist patient transfers with comfort, dignity and safety for both attendant and patient. Padded area is 5.5″ wide (13cm) and fined with Bucktex for soft, breathable comfort. Four handle loops for convenient, safe grip points. A 2 piece style Velcro® belt. Complete with metal loops at the ends of the straps for attaching to the wheelchair without tools. Each half of the strap is 2″ (5cm) wide by 24″ (61cm) long. A soft webbing belt 2″ wide by 60″ long (5 x 153cm) with a nylon side release buckle and two handle loops to assist the therapist when training patients to walk again. Gait belts are used by hospital medical staff or caregivers to assist an individual to stand up and safely ambulate from one place to another, i.e. ; bed to a wheelchair. 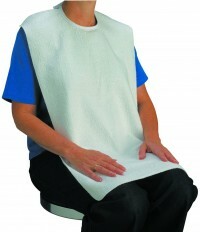 The Terry Towel Bib provides white cotton terry with tie closure. Machine washable. Protects clothes from messy spills and stains. Size: 27″ x 18″ (68.6 x 45.7 cm). The ergonomically designed contours allow for a soft, comfortable, and secure fit in almost every hand. Used wet or dry the curve shape ads to stability. 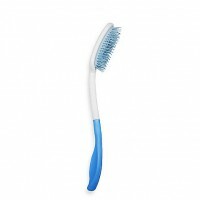 Long Handle Brush has firm brush bristles to make styling simple with even strokes. Non-slip, contoured handles feel comfortable in the hand. Non-Slip Jar openers are perfect for those with arthritis, a weakened grip, decreased hand sensation or upper extremity weakness. Open any jar with ease. Our openers provide a tight grip for lids, and jars of all sizes. Dycem non-slip jar openers are designed with unique grip bars and are dome shaped so that they fit comfortably in the palm of your hand. Great for opening tight food jars. Soft and malleable for added comfort, they are effective and easy to use. Many other uses including opening stiff door knobs, turning taps, opening medicine bottles, opening difficult wine bottles, Yale door locks and undoing light fittings. Available for left and right handed people. Stainless steel utensils feature handles designed for hands with limited grasping ability. Lightweight, soft and contoured – will not irritate pressure points. Handles have a soft, rubbery, non-slip surface. Never tie laces again with your Curly Laces. The spiral for design straightens out to 45″ (114cm). Simply lace through eyelets and pull to desired tightness. Curly laces make it easy to slip in and out of footwear and allow you to keep shoes somewhat snug on the foot without requiring you to tie a bow. Designed to make slipping on or taking off a pair of shoes or sneakers easier, without having to untie the laces. The elastic shoelaces make it easier for individuals with arthritis and those who have trouble bending. These Elastic Shoe and Sneaker Laces provide an easy solution to any everyday task. 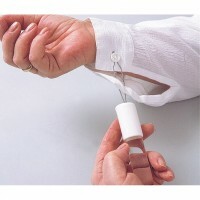 The Lifestyle Essentials One Handed Buttoning Aid Hook eliminates the hassle of fumbling with buttons. This simple tool provides an easier and faster way to button pants, trousers, shirts and blouses. With a 3/4″ diameter handle the user is provided with a comfortable grip. The One Handed Buttoning Aid Hook is a great dressing aid and a simple tool for anyone who has trouble with buttons, especially those with arthritis. Assures you will never lose your cane. 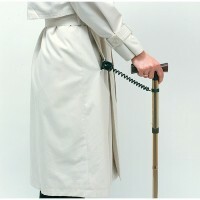 This handy clip attaches on one side to your cane, the other to your clothing or belt.